Dodgy Perth missed Anzac Day this year, by virtue of being abroad. However we did discover a bar in Manchester which served Little Creatures Pale Ale, and so a glass was appropriately raised last Saturday. So, to make up for our failure to attend a service, we offer the thoughts of someone from 1930, who did manage to get to such an event on the Esplanade. Our writer first notes that the setting is perfect. The Swan River with its white yachts at anchor and the wooded slopes of Mt Eliza extending to the water’s edge making a beautiful and peaceful background to the scene. As ever, there was a raised platform on the Esplanade for politicians, clergy, businessmen, leading citizens and military officers. In front of the platform were a sorrowful and subdued crowd. The celebrations claimed to be in remembrance of “gallant fellows whose bones now repose on many of the battlefields of Europe”. But our observer is not so sure that it was. He had a nagging feeling that the day was nothing more than sneaky way of instilling war propaganda into the receptive minds of young children. The speeches, he scoffed, were nothing more than “commercialised patriotism, commercialised sentiment, commercialized reverence and commercialised Christianity”. All he heard was humbug and cant about the glories of war, and nothing of its horror, its resultant sorrow, misery, poverty, and hardships. Taking a sudden turn to the Left, the writer remembers the huge profits to be made from international disputes. “Let those who make wars fight them,” he declares. Complaints about the capitalist adoption of Anzac Day? Criticism of politicians’ motives for engaging in war? At least this could never happen nowadays. So, with Anzac Day coming up and the hundred year thingy being all important, Dodgy Perth asks the question: Won’t somebody think of the children? 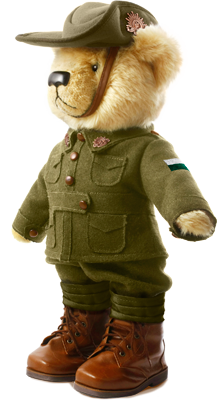 More specifically: How should we introduce Anzac Day to the kids? We have been pondering this since enjoying the savage beating Peter Stanley inflicts on Anzac Ted (an appalling-written book for pre-schoolers). So Dodgy Perth now looks back to a different war. One between the Government and the RSL. In the 1920s schools would invite a digger to speak on the subject of Anzac Day. Until 1925 when the Minister for Education banned them. The RSL was outraged. Seriously, seriously outraged. Led by the holy trinity of Rabbi David Freedman, Archbishop Riley and Sir Talbot Hobbs, the anger still seems palpable 90 years later. The peacenik teachers and politicians were more concerned with ‘turning the other cheek’ and the newfangled League of Nations than teaching children to do their duty. Anyone who said the RSL wanted to go into schools to teach children to kill people or war was a glorious thing was simply a liar, he thundered. The Government, though, stuck to its guns. There was no question of children not being taught about Anzac Day, it insisted. The question was not what should be taught, but who should do the teaching. In this case, people who are trained to give instruction to young minds (we call them teachers, usually) were ideally placed to deliver lessons on the War. Returned soldiers had certainly done their duty, but they were not qualified to communicate with the kids. That was best left to teachers. In any case, there had been complaints after one digger spoke to the assembly for more than two hours the previous year. Which showed exactly how much they understood young minds. Interestingly, for all their concern over children, the RSL regularly banned kids and women from the Dawn Service in Kings Park. Women and children do not lend an air of dignified respect to the occasion said the RSL, so they had to stay away. 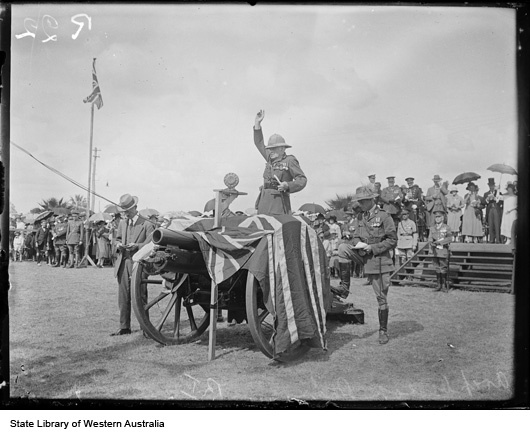 So, nearly a century later, what have we learned about how to teach pupils about the Anzac story? Given the regular fights between opposing camps of historians, Dodgy Perth suggests the answer is we have learned bugger all since 1925.